Cloud-based access control is the next evolution of physical security, and businesses still using traditional locks and keys for entry are falling behind. If you’re still on the fence about electronic access control – and, wondering whether a cloud-based solution is a good access control model for you – consider these key reasons. 1. One card for all your locations. If you manage multiple locations, a cloud-based access control solution lets you enter any of them with the same card. That’s perfect for organizations with employees who work out of multiple sites, or who have vendors servicing more than one location. A cloud-based access control system can be managed from anywhere. Your organization’s system administrators can add and delete users, change hours of access for specific users (or all users), and adjust settings for any location by simply logging into your secure, web-based dashboard. Think you can only manage your building from your giant desktop computer? Think again. Any device with a web connection is your portal to managing your account: desktop, tablet, even mobile app. 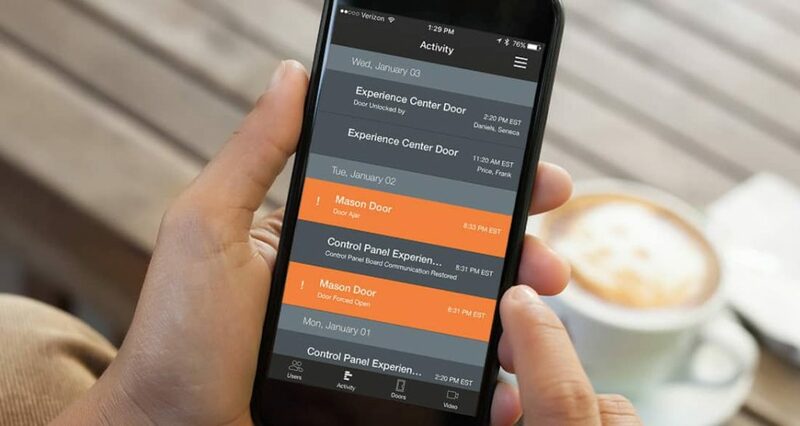 Cloud-based security technology is all about easy access to what you need to control entry to your facility. 4. Scale up or down. Adding a location? Closing a site down? Making one part of your building restricted that wasn’t restricted before? It’s easily done with cloud-based access control. 5. Integrate with other technology. Can you make your access control work alongside your security alarms? Yes! Video surveillance? You bet. Integration is easier and more reliable with cloud-based technology. Need any more reasons to consider cloud-based access control? Seattle area organizations can call Guardian Security to learn more. We will be happy to provide more information.